SUBMIT YOUR UPDATE HERE to be shared on website! Please help us maintain alumni database by updating your information here! As alumni of Sigma Nu, we have been groomed, and are better suited to take on the world's challenges and opportunities head-on because of the life lessons we've learned as brothers. Showcasing individual members, the Alumni Updates section is a great place to check in on brothers and see what they're up to today. Share your stories, become a mentor, volunteer, give to the alumni fund, do what you can to make the modern man into a modern gentleman. 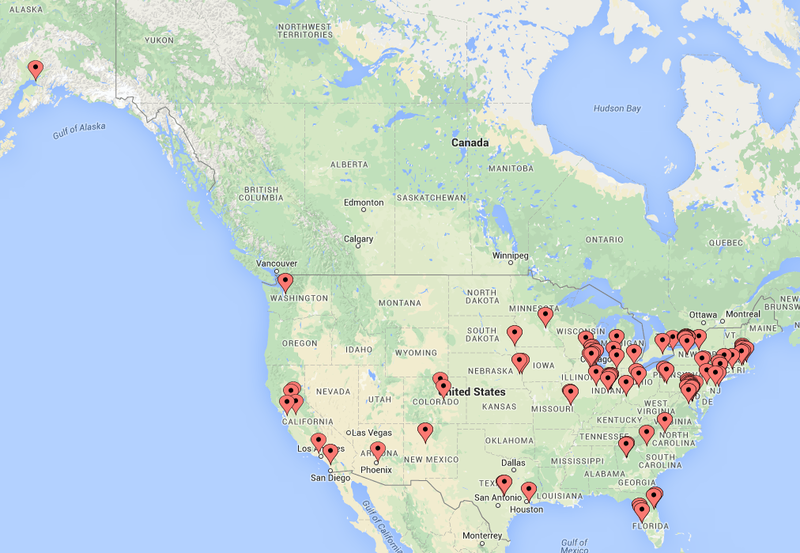 Map of North America where Mu Zeta Alumni and Active brothers currently reside!